Since its release Resident Evil 2 has always been held in high regard when it comes to not only the Resident Evil series but the Survival Horror genre. Capcom has listened to the cries of it’s fans to remake the game, was it a mistake or can Capcom strike gold once again? It’s been 20 years since the original release of Resident Evil 2 and since then despite it seeing several ports, unlike Resident Evil 1 which saw RE:Make, Resi 2 has been stuck firmly in it’s Playstation roots, being announced a few years back it’s time for Resident Evil 2 to make it’s leap into the current gen.
Resident Evil 2 is set not too long after Resident Evil 1 in the town of Raccoon City, if you have played any of the Resident Evil games you should know that name. 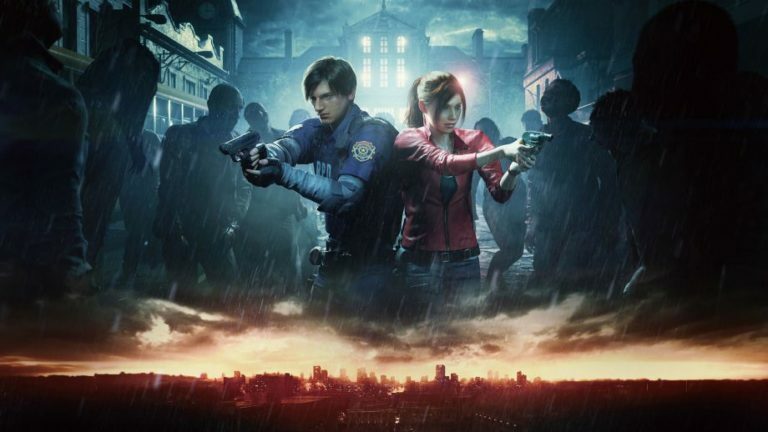 Resident Evil 2 sees our protagonists Leon S Kennedy & Claire Redfield survive their way around Raccoon City Police Station and the surrounding areas while trying to solve the mystery of why the entire city is engulfed in the undead!. 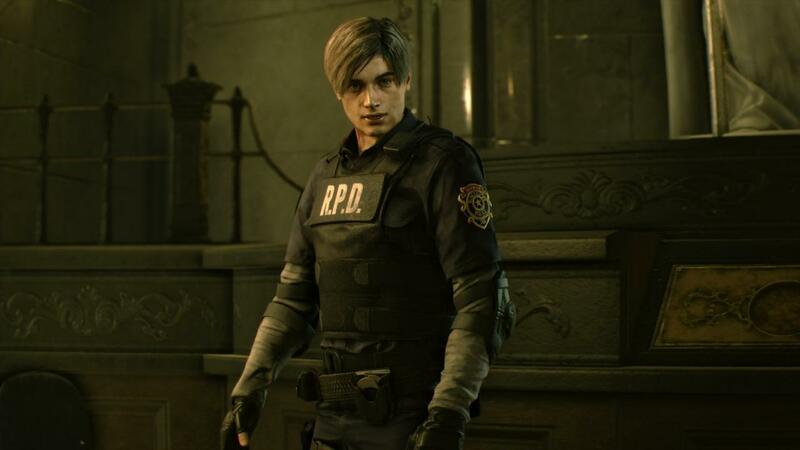 As Resident Evil 2 is a remake the general story here is the same, most of the same story beats are present and Capcom seemed to have resisted the temptation to retcon or add extra to the story. Now it’s not a shot for shot remake, the story moves at a quicker pace and some parts are in a different order but Capcom have expanded on the cast a little more and the story greatly benefits from it. Without spoiling the narrative there is one particular character who is incredibly minor in the main game and doesn’t really have much more time here but what they have done is given a greater impact with their story and it’s honestly quite chilling and took me back somewhat. Visually Resident Evil 2 is at the top of the genres game, everything from the perfect lighting to the animation on the characters faces just screams top quality and helps draw you into the saga almost instantly. 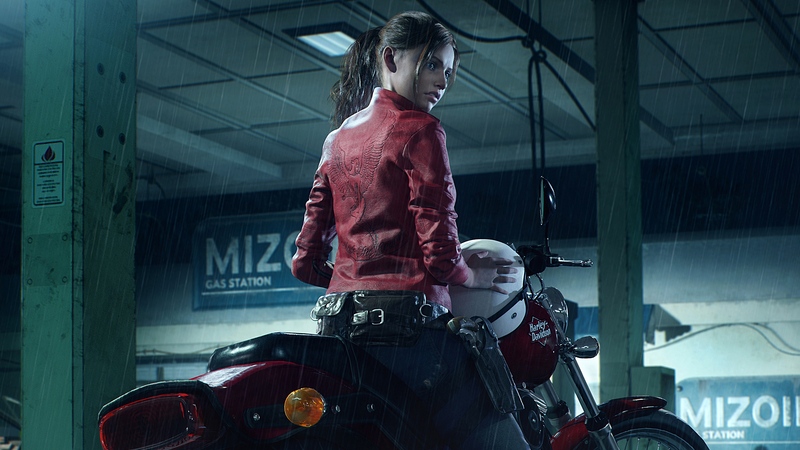 The various locations you visit all scream out with nostalgia but aren’t held back by it, changes to routes and scenery help shuffle the corpse of Resident Evil 2 into the current gen and reanimate it to make it the nicest looking game around, y’know for a game filled with death, grotesque monsters and the amount of blood that would make even Ashley J Williams blush. 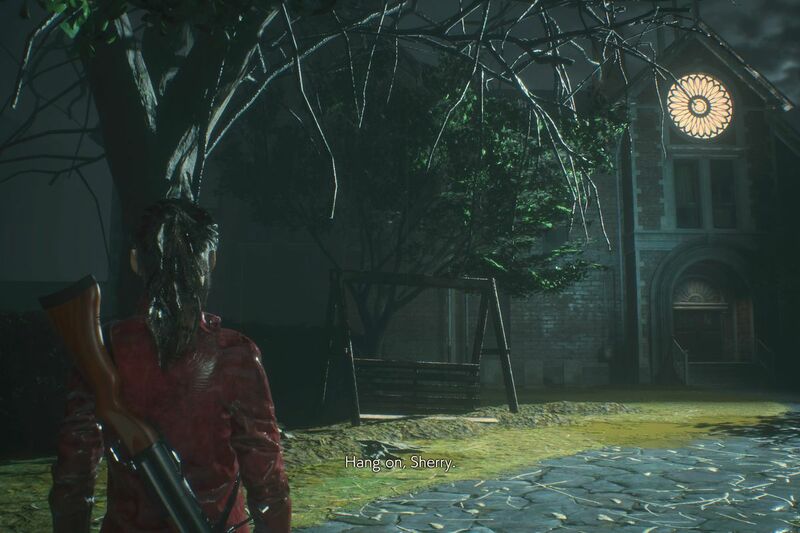 The sound design on Resident Evil 2 is world class as well, taking hints from Resident Evil 7 the sound is directional so playing with a headset or a decent sound system not only improves the experience but also ups your chance of survival by ten fold, especially when a certain Mr X comes to play. 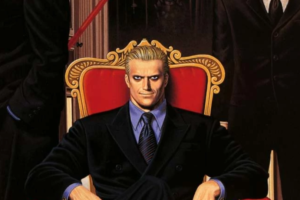 The voice acting is great for the most part, Leon is naturally younger sounding than he has been the last few games, as is Claire and the supporting cast are all well acted, especially Kendo of Kendo’s Gun Shop fame. There is a mild inconsistency when in game, the characters “react” to what is happening at the time, zombies will burst through doors and your character will proclaim “What the hell”, this also happens after you’ve killed a few monsters and they just randomly come out with, it’s the situations like that which make it seem a little phoned in and hammy but for the most part it creates a much greater sense of tension than that of it’s campy predecessor. Resident Evil 2 follows the blueprint that the original set, much like Resident Evil 7 this game has a heavy focus on the Survival Horror aspects of the genre unlike the path the series took from 4 to 6. Throughout the campaign of your chosen character, you will come across several weapons and ammo strewn around the place but you need to be frugal, headshots are essential and running from battle is a must. The change from fixed camera to behind the character works really well and the enemies are extra dangerous to compensate for the improved combat ability you have. Gone are the loading times when you go room to room, so is the safety!, Zombies will smash down doors you run through creating a whole new type of tension you could only of imagined 20 years ago. All the favourites are back, Zombies, Dogs, Lickers & more, the bosses have all seen a reworking too, taking the original game as a reference will only get you so far here in some of the most tense battles of the genre to date. Puzzles are back too, getting around this confusing Police Station has been explained that it was once an Art museum and now it’s been re-purposed as a Police Station. This means you’ll be finding all kinds of items, scratching your head at what to do at points and loving this classic Resident Evil experience. 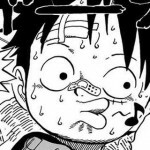 It has been streamlined somewhat, you have an objective list to keep you on track and your map will track every room you’ve been in, pointing out any items or key areas you may have missed on your travels. Because this is a remake and wanting to keep things fresh, Resident Evil 2 not only changes various routes, item locations and story beats to keep it moving as fast as possible, they also expanded on the Mr X character from Scenario B of the original game. He turns up quite early into the game this time around and constantly stalks you throughout the game with only a few areas of respite. 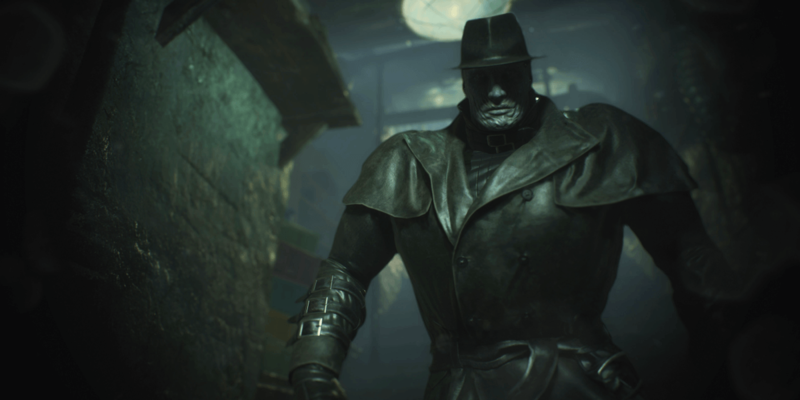 Mr X is one of the greatest aspects about this remake, they expanded his character to be a constant threat throughout most of the game, he will turn up when you least expect or need him to, keeps the tension and stress high and really shows off Resident Evil at its finest. You can shoot him and knock him down, he won’t stay down for long and maybe you could of used that ammo elsewhere?, he causes you to plan routes, make a choice about where your run from safety will take you and makes you creep and avoid battle as not to draw attention to the room you’re in while trying to solve a puzzle. 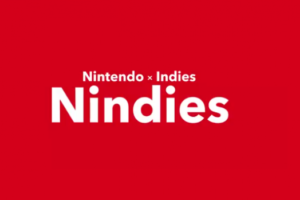 The game features technically 6 campaigns, your first campaign should take you around 8 hours or so depending on familiarity with the genre and game. The total package without going back and doing your other characters A & B routes should see you around 15 hours but with the upcoming DLC and the amount of unlockables and challenges on offer you will easily be playing this game for the better part of the year. Resident Evil 2 should be held as the ideal Remake, it takes everything people loved from the original, tweaks some stuff, omits others and creates a familiar yet new experience for fans of the original and one of the greatest horror experiences a new player could have. It’s a difficult as you want it to be and has all the tools to make it a tense but satisfying experience. Graphically it’s unrivalled and it’s sound is nothing to run away from either. Alot of love has gone into this title and it shows from every oozing wound in the game, various easter eggs and nods to the original are thrown in there and it comes off as the most complete and fun Resident Evil title to date. There was always a concern with how this title would play out after the series started to stray from it’s roots, Resident Evil 2 shows us that returning home and tightening what you had going on can create some of the most memorable gaming experiences you can have!